Today, several different email delivery platforms are easily available for use. All of them are unique in their own rights; however, a few come close to getting the job done such as MailChimp. Millions of users trust this popular email delivery software as MailChimp continues to work seamlessly. If WordPress powers your site, you can easily integrate it with MailChimp. This powerful integration enables you to use the plugin and take control of your subscriber lists and submissions straight from your WordPress dashboard. Numerous other email options like SendinBlue, Sendy and TinyLetter are not well equipped as the MailChimp to handle the various tasks of email marketing. All of them are easy to use but some can create problems when you are pairing them up with your WordPress site. Additionally, depending on their features and plugins, some of the email marketing software comes with a hefty pricing tag. MailChimp offers you free and paid versions for use. 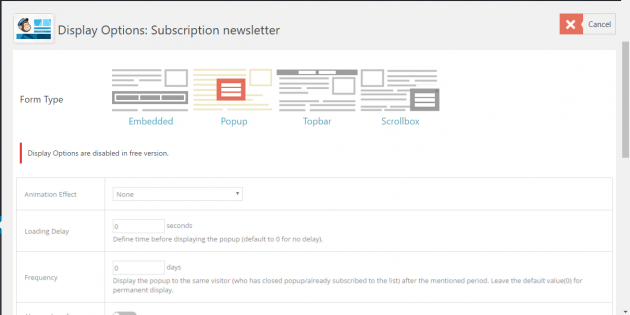 The free version with less plugins for instance helps you create unlimited attention grabbing subscription forms. The paid Pro version allows you to customize your display easily than the free versions and enhance the user experience. Depending on your business objective and needs, you can select either of them. You can do installation in two different ways. You can either add the plugin from the WordPress admin section or download the plugin directly from the wordpress.org site and then upload the plugin to your WordPress website. Once the upload is complete, activate the plugin. 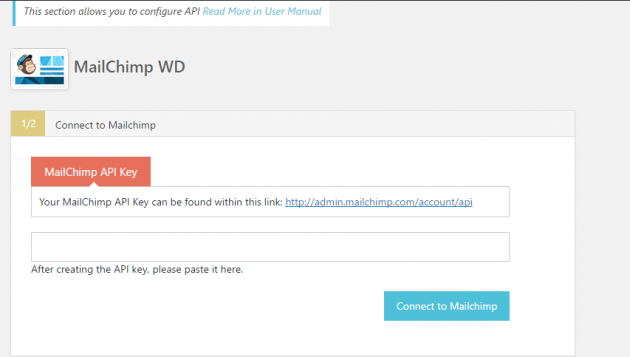 During the installation process, it will ask you for a MailChimp API key, which you will get beforehand. As soon as you feed the API key, it will grant you access to your MailChimp lists. Copy and paste the key in the relevant input field and you are good to go. Check the list section of the plugin and you will find all of your MailChimp lists. Once you select a list, you will be able to view quickly the list of subscribers and MailChimp form fields that are connected to the list. The list section is also searchable, so you can always search for a specific contact on each of the lists. There are a few simple steps involved if you wish to create a form in MailChimp. Click on Add New in the plugin admin area, you will be able to create a new form from the creation page. You can also customize this form. You will get an option to choose a form theme in the Pro version but with free version, you will only get a single theme for use. Choose whether you want the form to be a subscription or un-subscription form. If you are a Pro version user, you will get 13 beautifully crafted themes at your choice. Using the conditional fields feature, you will be able to show or hide the fields on your forms. Setting the options for the condition and choosing the field is extremely easy. Set the option for the condition and choose the field to which the action will refer. You can customize the form options in the plugin as well. The form option includes general form options, email form options among others. The plugin also comes with its own set of emailing options that allows you to customize the emails, which you will be sending to users and administrations. This option also allows you to keep the data from your MailChimp account such the email list or the names. The free version of the plugin uses MailChimp’s global email options. You can get even more advanced email option when you go for the pro version. The plugin offers you with a set of options that will allow you to customize the emails and send them to users. It will also allow you to keep any data you wish from the MailChimp list name. You can also configure the options for Opt in confirmation and final welcome emails. MailChimp WD generally provides you with four different form display options. The free version only comes with embedded forms but the Pro version gives you top bars, popups and scroll box options, and have settings. Choose an animation for the pop ups if you like select the pages and posts where they will be displayed easily. MailChimp WD offers you with 13 fully customizable form themes with its pro version. The free version however only has one theme. If you wish to edit any of the themes, all you have to do is click on the yellow button in front of it and the plugin will take you to the theme customization page. Make adjustments to the parameters of the theme there and you are good to go. The plugin offers you with a very simple submissions section where you can view all submitted forms. Just select the form from the drop down menu and it will show you the number of entries number of views and conversion rates. You can also filter through the data in the submissions section. You can also toggle with the viewing setting ensuring that you are only seeing the form fields you need at any given time. MailChimp allows you to block IP addresses that send spam in an instant. Mark the spam submissions and block them. You can later on unblock any of the IPs at any given time. MailChimp is one of the most affordable Emailing plugin there is. It offers both Free and Pro versions and has three different pricing plans, namely, Personal, Business and Developer. MailChimp is quick, efficient, affordable and easy-to-use emailing software. With millions of businesses using this fantastic platform, you can never go wrong by choosing MailChimp.